Your natural teeth are strong and “built” to last, but over time they can weaken and need a little help due to poor dental hygiene, discoloration, or injury. Crowns and bridges from Crescent Lake Dental are two common restorations offered by dentists that can shore up damaged teeth or fill in smile gaps. After some research and a visit to the dentist, you may learn that a crown or bridge is the best solution for your smile problems. Crowns are dental devices that form a strong barrier around the root of a natural tooth. Modern crowns are usually made of porcelain, but metal or ceramic crowns are also available. They are usually added to your teeth after root canal therapy or when a tooth has become damaged beyond repair. Patients who have intrinsically stained teeth that don’t respond to whitening can benefit from crowns. Your dentist can bridge the gap in your smile using a dental bridge. 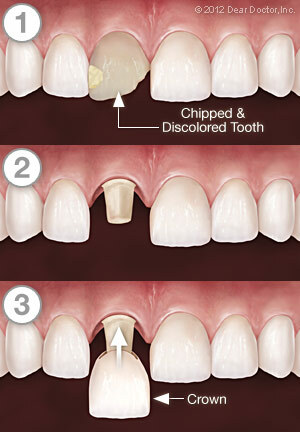 This restorative solution is commonly used when there is one or two (adjacent) missing teeth. Two crowns provide the anchor for a replacement tooth (or two) at the center. 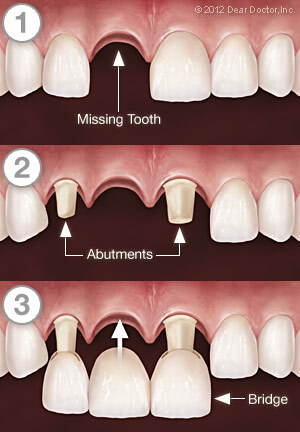 Patients who have gone a long time with a missing tooth and have minimal bone tissue are often candidates for bridges. They are long lasting (five to 15 years or longer). They look very natural and beautiful (matched to your existing teeth). Once integrated into your smile, crowns and bridges are indistinguishable from the rest of your teeth. You'll have an easier time eating and don’t have to worry about the device slipping out (as is sometimes the case with partial dentures). You'll be able to take better care of your teeth and gums to ensure long-term dental health. contact Dr. Glen Marsack at Crescent Lake Dental in Waterford, MI. Call (248) 682-9331 today to schedule an appointment!